Spend an unforgettable 3 hours on our comfortable air conditioned Mini-bus and get an overview of New Orleans. As part of this tour, we will go to an area that was damaged when the levee broke during Hurricane Katrina and swept the residents and their homes away. This tour includes hotel pick-up and ground transportation. Spend an unforgettable 3 hours on our comfortable air conditioned vehicle and get an overview of New Orleans. Experience the history and culture of the Creoles with your licensed tour guide. No trip to New Orleans would be complete without seeing the highlights of our city and the some of the areas affected by Katrina’s flood waters. You will see: Jackson Square, St. Louis Cathedral, the Cabildo and the French Market. You tour guide will give you an overview of the “French Quarter”. Your guide will point out areas of interest, so that you can explore them later, at your own pace. You will travel slowly toward City Park and view 100 year old homes along Esplanade Avenue, on the way to the “Dueling Oaks” of New Orleans’ City Park. Visit an above ground cemetery, where you will go inside on a short guided tour. Your tour guide will explain how the people of New Orleans bury their dead above ground in re-useable tombs. This tradition was by necessity, not by choice. Drive slowly down St. Charles Avenue, the American side of New Orleans. See some of the homes of the Garden District. You will pass Ann Rice’s home, Governor Claiborne’s Daughters home, circa 1840, the Elms Mansion, and much more. See the diverse Architecture of the American side of New Orleans. As part of this tour, we will go to the view an area damaged when the Hurricane Katrina broke the levee and swept the residents and their homes away. Pick up times for the city tour begin at either 9:30am or 1:30pm. We use our sister company, “Alert Transportation” for the ground transportation service. Our driver will go hotel to hotel for the pick up process, which takes up to 30 minutes. Pick up will be at the curb of your hotel. 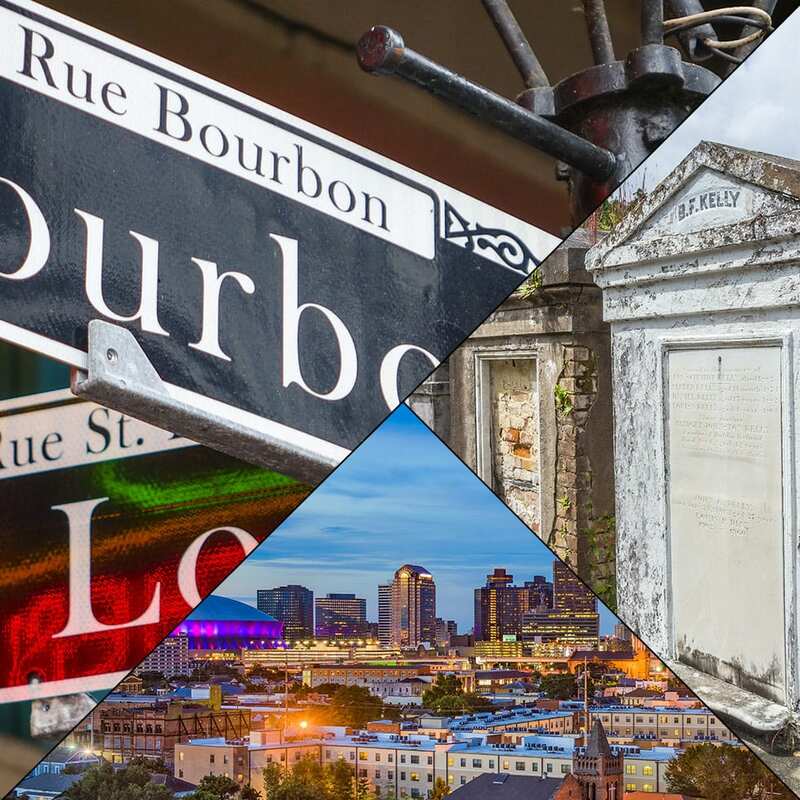 The tour will start and you will see the highlights of New Orleans. Your licensed city tour guide will entertain you and will provide amusing and historical facts throughout your tour. You will spend about 20 minutes on a cemetery tour with your city tour guide. You will have a 20 minute break at City Park. You will have the chance to have a restroom break, get a snack and/or enjoy the sprawling oaks in the 5th largest Urban Park of America. Drop off will be either 1pm or 5pm, depending on the starting time of the tour.